The Occupational Safety and Health Administration is responsible for setting safety standards in the workplace for different industries. This includes the construction industry. As part of its mission, OSHA also deals with violations of standards the agency establishes. In addition, it’s compliance efforts include citing workplace violations in the construction industry. OSHA has identified the 10 most frequently cited construction violations. The number one most common workplace violation in the construction industry is the failure of an employer in the construction industry to satisfy the general requirements established by agency standards to protect against fall. In simply terms employers in the construction industry who violate standards associated with fall protection general requirements are failing to meet some relatively basic, essential requirements to keep workers safe. Scaffolding incidents represent some of the most common types of accidents in the construction industry. The most prevalent types of scaffolding accident include scaffold collapse, scaffold falls, and injuries caused by materials falling from a scaffold. The violations that most commonly are associated with scaffold construction violations include improper assembly of scaffolding and incomplete training of workers who utilize scaffolding. Keep in mind a significant majority of construction workers must utilize scaffolding in the completion of their assigned work tasks. The third most frequently cited construction violation involves the use of ladders. These violations typically arise from inadequate training, inappropriate ladder placement, improper demarcation of a work zone involving a ladder, and improper use of a ladder (which can include placing items on a ladder in a manner that creates a hazard). Falls are common underlying causes of injuries in the construction industry. This includes falls from ladders, falls from scaffolding, slip and fall incidents, and other types of situations in which a worker falls. The fourth most common cited OSHA violation in the construction industry arises from inadequate training associated with fall protection. Examples of inadequate fall protection training include improper instruction on scaffolding and ladder use as well as incomplete training associated with hazards that can cause slip and fall incidents, including remediating spills in the workplace. The fifth most common OSHA construction site violation is the failure to provide or have workers utilize proper eye and face protection. Oftentimes, appropriate eye and face protection is available at a construction site. However, site managers fail to appropriately require workers to utilize this vital protection, even in situations in which it clearly is required. Yet another frequently cited construction site violation by OSHA involves issues with hazard communication. This is a rather broad category that includes issues like failure to properly identify hazardous materials, substances, and conditions. It can also include improper protocols for announcing to workers the existence of a hazardous situation or condition at a worksite. The seventh most common construction industry violation cited by OSHA involves head protection issues. This type of violation runs the gambit from permitting visitors on a worksite without proper head protection to allowing workers to be on site without suitable head protection in place. Traumatic brain injury is a major type of injury arising from accidents at construction worksites. Many of these injuries would be prevented if workers (and site managers) followed OSHA head protection standards on a consistent basis. On the list of the 10 most frequently cited construction violations involves improper aerial lifts. Improper aerial lift issues can involve equipment, materials, and ever worksite personnel. 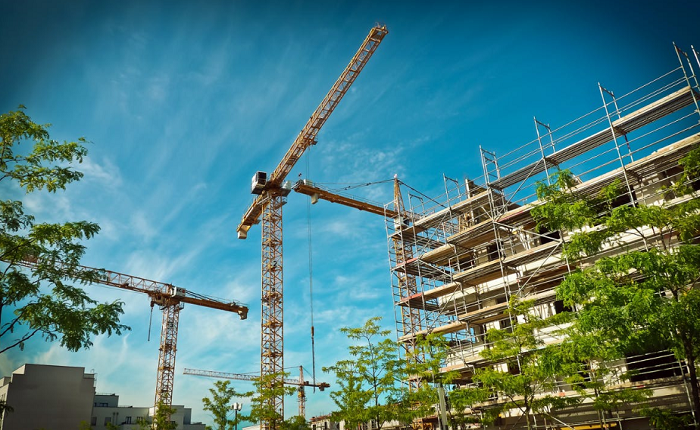 In addition, it can involve third parties unassociated with a construction project who are injured due to an inappropriate aerial lift of some sort. Yet another of the top 10 most frequently cited construction violations involves a lapse in the application of general safety and health provisions of OSHA standards. These citations come on a variety of forms and encompass an array of more general safety and health issues that can arise at a construction site. Finally, the tenth most common construction site OSHA cited violation involves fall protection. This type of citation is issued in response to failures in regard to fall protection practices, protocols, and associated system criteria. Beginning in 2018, OSHA is placing even a more significant emphasis on enforcing standards related to all types of falls at a construction site. The types of issues on the top 10 list giving rise to OSHA citations typically remain on somewhere on the listing from one year to another. There are changes in specific position on the list, however.